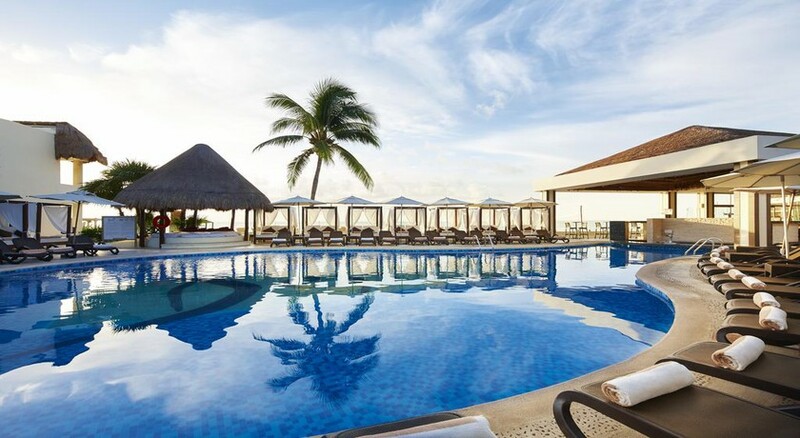 Get immersed at this beautiful resort called the Desire Riviera Maya Resort. From gourmet restaurants catering lip-smacking cuisine to Caribbean cocktails and beach Bali beds on soothing white sand, you will experience a temperature rising environment at this clothing-optional beach front resort. 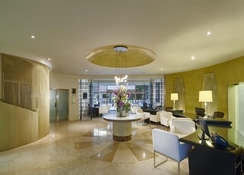 The rooms and suites are seductively designed to arouse your senses. Here you will experience the most desired fantasies of life at each moment with continuous pleasure. The relaxing spa treatments at this adult-only resort will surely enthral you and the fantasy menu will let you have a mesmerizing dining experience. 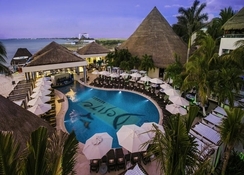 Nestled on the Mayan River in Mexico, the Desire Riviera Maya Resort is only 20 minutes’ drive away from the Cancun International Airport. The Cozumel island is about 87km from the resort, which can be easily reached through a quick ferry ride. 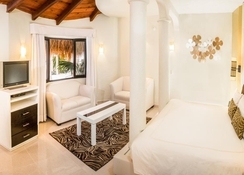 The 114 guest rooms and suites at Desire Riviera Maya Resort come with spectacular views of the Caribbean Sea and lush gardens. The rooms in this resort are exclusively designed for couples, which will ensure you and your partner a passionate stay. Recently remodelled with exclusive amenities and expansive living areas, the guestrooms and suites will let you have an excellent couples-only resort experience. 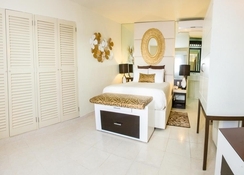 The guestrooms and suites come in seven categories that include Deluxe Garden View, Superior Garden View, Deluxe Ocean View, Jacuzzi Room Garden View, Jacuzzi Room Ocean View, Ocean Front Passion Suites and Desire Suites. All the rooms come with wide-ranging amenities that include king size bed, air conditioning (individual climate control), LCD screen TV, telephone, in-room safe, bathroom with shower, coffee maker, hair dryer, balcony or terrace, bathrobes & slippers, iron & ironing board, in-room minibar stocked with: water, beer & soft drinks daily and alarm clock. There are five distinctive dining options and seven sensually seductive bars, where you can have a casual, elegant and romantic dining and drinking experience with your loved one. Hit the Arrecife Restaurant to spicy and authentic Mexican cuisine as well as Caribbean, American, Italian and French delicacies. Head on over to the Sahlo Restaurant for savouring international cuisine in a passionate atmosphere. The Tentazione Restaurant is an ideal place to see and be seen, it is a perfect place for an exuberant lunch or a simple snack. Head to the Suki Restaurant to taste delicious Asian cuisine. Or have a romantic candlelight dinner under the moonlight at the Dinner by The Sea. Grab a cocktail and mingle with other couples at the Melange Bar. Other than this, there are three clothing-optional bars – Jacuzzi bar, Tentazione Bar and Beach Bar. 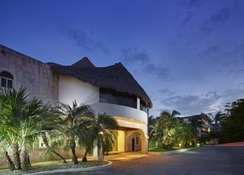 The resort has wide-ranging sports and offers nightly entertainment for its guests. It offers on-site scuba diving lessons by a team of experts. Desire Riviera Maya Resort’s spa is a pampering world, where you can avail beautifying treatments and therapeutic massages, which will revitalize and rejuvenate your body. It is set amidst lush vegetation, emerging as a haven for stimulating your mind, body and soul. Take a relaxing swim in the outdoor swimming pool and relax on the sun loungers dotted across the pool. The nightly entertainment in the resort will let you experience your wildest fantasies.